Huntington is a community of approximately 2,000 residents located 25 miles southeast of Burlington. The beautiful Huntington River flows through town offering several water activities for residents. Camels Hump, the third highest mountain peak in Vermont, is also located in Huntington and is listed as a state park. Chittenden East School District includes Huntington for several of its schools spread throughout nearby towns while Brewster Pierce Memorial School is actually located in Huntington. Single family closed in Huntington VT has increased 9.1% in 2017, compared to 2016. 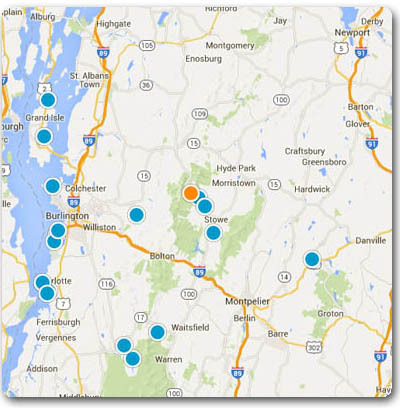 Please try our search by map tool for Huntington VT homes for sale and real estate.